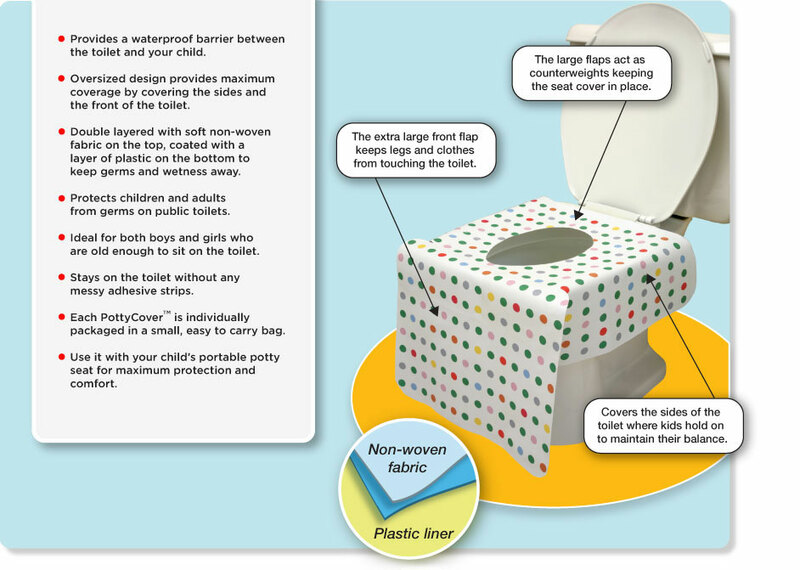 PottyCover is a disposable toilet seat cover for kids. It covers the sides and the front of the toilet. My thoughts-I like that it is a splashguard. 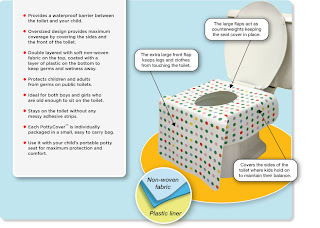 Since it is plastic it is a great waterproof barrier between the toilet and my kiddo. I like that they are individually packed. I can fit it in my pocket. I like the color print that can make a toilet a little kid friendly instead of a scary monster.